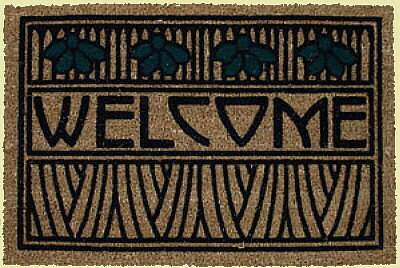 Grace the entrance of your home with our beautiful Arts & Crafts WELCOME Doormats. Made of 100% natural fiber embedded into heavy rubber backing, the flocked design is raised. This Iris design was inspired by the Dard Hunter 1906 design for the book "Justinian and Theodora". This Rose & Stem design was inspired by the Dard Hunter classic design for many Roycroft publications including "A Message to Garcia". 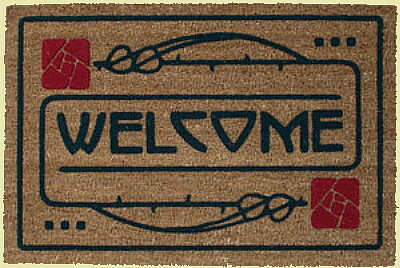 These door mats are manufactured for Dard Hunter Studios in South Carolina, USA!